To secure your financial future it requires a team of experienced professionals working together. Here is a brief outline of the process involved in implementing your financial plan. Once you’ve signed the authority to proceed we meet as a team to discuss any additional elements that may have been discussed in the Statement of Advice presentation as well as assigning the implementation tasks within our team. Some of the things that can come out of the presentation can be your interest in a referral to a mortgage broker, an accountant for tax or SMSF purposes or even property specialists. We have developed relationships with these specialists and would only refer if we thought they’d be able to add value to your situation. Proceeding in full or in part will mean that the implementation strategy will change. This is all discussed and an internal implementation plan is developed. If you’re proceeding with our personal protection recommendations we are required to undertake a medical questionnaire to ensure you meet the underwriting requirements of your recommended cover. Please bear with us throughout this process as some of the questions are very detailed, however, it is something that is required for compliance. Your Client Services Officer will ask you the questions required by the insurance provider and will be with you to help you throughout the whole process. After the Medical Questionnaire is completed, we will review the answers, submit the application to the insurance provider, await updates from insurance underwriting team. All whilst keeping you updated as well! As your financial advisory firm, My Wealth Solutions aims to reduce the stress relating to your finances and we will continue to be in contact with you throughout the implementation process of your financial plan. We also ensure that internal and external compliance is adhered to. An element of this means ensuring that all forms have been completed in accordance with the strict compliance guidelines. Your dedicated Client Services Officer will liaise with different third parties to obtain authorization to access the details of your accounts. This could be accounts of your existing debt such as credit cards, personal loans or additional accounts we require further detail on. In some instances, we are able to work with third parties to help with refinancing your existing loans. We’re here to assist with all elements of setting up and submitting the applications for the various accounts required for your financial plan such as new superannuation funds, insurance and investment accounts. In this process, we will arrange for your employer to redirect your employer contributions to your new superannuation account if recommended in your Statement of Advice. After any new accounts are set up, we will begin the rollover process and invest the funds as outlined in the Statement of Advice. For those using the My Wealth Portal, it is at this stage that we’ll be able to work with you to ensure that all the relative accounts, assets, liabilities, income and expenses are included in the budgeting software. We will continue to monitor the performance of your accounts and investments whilst staying abreast with legislation and any changes to the market. As your wealth grows and your circumstances change we will continue to realign and adjust the strategies to ensure you achieve your financial goals. 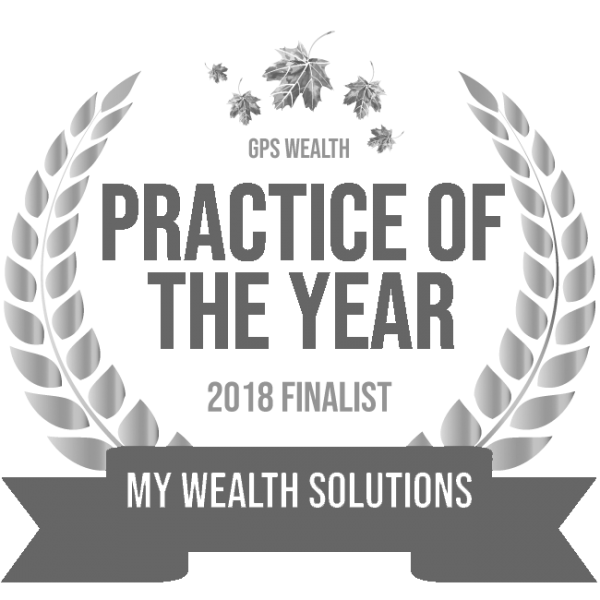 Ben and his team at MWS are very easy to communicate with and they take the time to explain the nuances involved in financial advice as well as being transparent with costs associated, which is refreshing and trustworthy. My Wealth Solutions are the first financial advisers I have found that consider your entire financial position. They are not focused on one product or investment type, rather they are focused on finding the right financial solution for your current situation. I am looking forward to working with Ben and his team over the coming years. I contacted Ben Budge to provide a holistic review of our financial position, including investments, superannuation and retirement planning. Ben provided a summary of our financial goals, along with how our strategies aligned with those objectives…which was great for motivating us to make some changes…I would consider Ben to be very professional and friendly, and I’d recommend him to anyone seeking to secure their financial and retirement planning. Joining My Wealth Solutions was one of the best decisions I’ve made – they have a great team there and communication is fantastic. Ben walked me through the whole process and I knew I was in safe hands with the transparent explanations of all aspect’s of what I could expect. I can’t recommend them highly enough and am excited about what’s to come. My wife and I decided to make some changes to the way we were managing our finances and planning for our future financial security. Through the process of re-financing for the construction of our new family home,…from the very first meeting we had with Ben, we were comfortable and at the same time excited about…to our financial planning and future position. So far my experience with Ben and the team at My Wealth Solutions has been exemplary. They have offered fantastic, reliable and prompt advice and their knowledge far outweighs the cost of service. I would recommend this route to anyone seeking financial advice. Looking forward to my future even more so thanks to My Wealth Solutions. We have been extremely happy with the service and advice that we have received from Ben and all of the staff at My Wealth Solutions. Ben and his staff are always very friendly, helpful and take the time to discuss any questions that we have had along our financial advice journey to date with them. We would have no hesitation in recommending the services of My Wealth Solutions. Guy has been our financial advisor for almost eight years now. In that time we’ve been very happy with his service, advice and personal touch. Highly recommended!